Betty Noel McGee, 93, passed away peacefully following a very brief illness on Wednesday, March 9, 2016 in Mesa, Arizona. Funeral services will be held Saturday, March 19th at 800 W. Chandler Heights Boulevard in Chandler, Arizona at 11 a.m.
She was born June 20, 1922 in Fruitland, New Mexico to Hamilton Bridger Noel and Eva Foutz Noel. Betty married Clifton Ferron McGee on June 3, 1940 in Gallup, New Mexico. 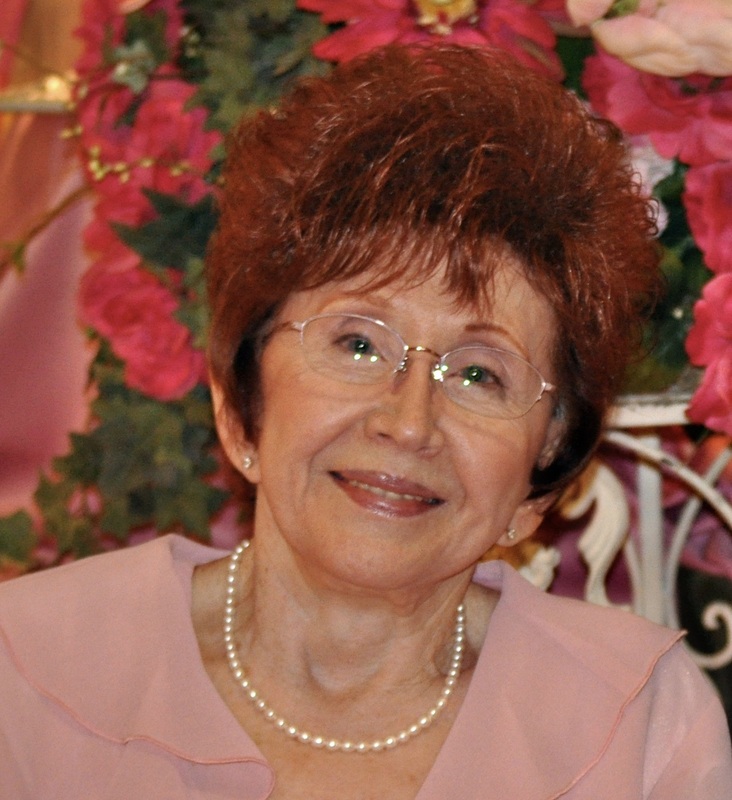 She was a lifelong member of The Church of Jesus Christ of Latter-day Saints and served in many capacities, including 20 years of service in the Mesa Arizona Temple. Betty constantly focused on self-improvement. She enjoyed reading many types of books, taking art classes, writing notebooks full of her powerful positive thinking and motivating thoughts. She loved to play her organ, dance, play cards and bingo and to shop. She was always in fashion from head to toe. She created a warm and loving home and her family loved her cherry pies and homemade Christmas candies. Betty extended her love to all she came in contact with. Survivors include her four children: Ferron (Dorothy) of Gold Canyon, Bruce (Marlene) of Mesa, Beverlee (John) Kay of Snowflake and Ron (Nanette) of Holbrook; 18 grandchildren, 59 great-grandchildren and 2 great-great-grandchildren. She was preceded in death by her loving husband of 72 years, her parents and siblings: Edmund Noel, Joy Noel, Clara Atwood. She is survived by a brother Leland Noel in Farmington, New Mexico. Funeral arrangements by Bunker’s University Chapel. She was a great friend to us, very giving person, and always, always had a smile and laugh to share with us every day. We will miss her in our lives but she is carried in each one of ours hearts. I am so sorry to hear about sister McGee passing away… One of my favorite memories of her was when we were teenagers and she was teaching us (in young womans) to stand up straight! Have confidence in ourselves. She would show us what it looked like when we didn’t hold up our shoulders and walk with pride. That special lady always walked with pride. She was a beautiful spirit. I’m so glad I had the chance to know her! We were so sorry to hear of Aunt Betty’s passing. She was a very special woman and showed the love of God by her actions and devotion to her family and her faith. She will be missed. Unfortunately I am in Denver taking care of my grandkids so will be unable to attend her services. What sweet memories flood our minds as we remember Betty. Monte has many memories of being inspired by her acceptance and her encouragement as he was growing up. She was among the first people he wanted me to meet during my first trip to Holbrook. When we entered the McGee home I quickly understood why he was so fond of Betty and Cliff. They were wonderfully welcoming and totally delightful, teasing Monte and sharing stories of his growing up years. I remember how striking Betty looked that night wearing a lovely pale green lounge gown with feather trim on the collar. I told her I thought it was absolutely gorgeous, and that I especially loved it with her red hair. She told me she liked to look nice for her husband. My raving about Betty’s gown must have stayed in her mind, because years later she told me she regretted not giving the gown to me that night. However, in a way, she gave me a much greater gift. For many years after that, Monte and I went shopping together for my birthday and purchased a pretty lounge gown because, like Betty, I wanted to look nice for my husband. One of my closest friends once said I had a better lounge wardrobe than a day wardrobe, which may have been quite true at times. In reality, the opportunities I had to be with The McGees were very limited, but the influence they have had in my life is significant. Monte thrived in their presence as a youth, and I know their example inspired him. Their memory continues to inspire both of us. They were a great example of a supportive, devoted couple. It’s awesome that they are now together again in the glorious, heavenly realm of God. I can easily visualize Betty’s walking beside Cliff, holding tenderly to his arm, wearing a beautifully flowing gown of shimmering pastels.